Blog | AdamK's Cycling & Travel | Bicycle Touring, Bike Camping & Anything Bicycle! Several times each year, I get email requests from cycle tourers regarding the Vancouver Island and Sunshine Coast route e.g. How far is it? – What do the ferries cost? – What time of year is best? – Clockwise tour or Anti-Clockwise tour? – Where to camp? and so on! I’ve cycled this loop route many times and wrote a report of this tour route way back in 1997, consequently I have now realised that it’s time to update some of the information that I previously posted! 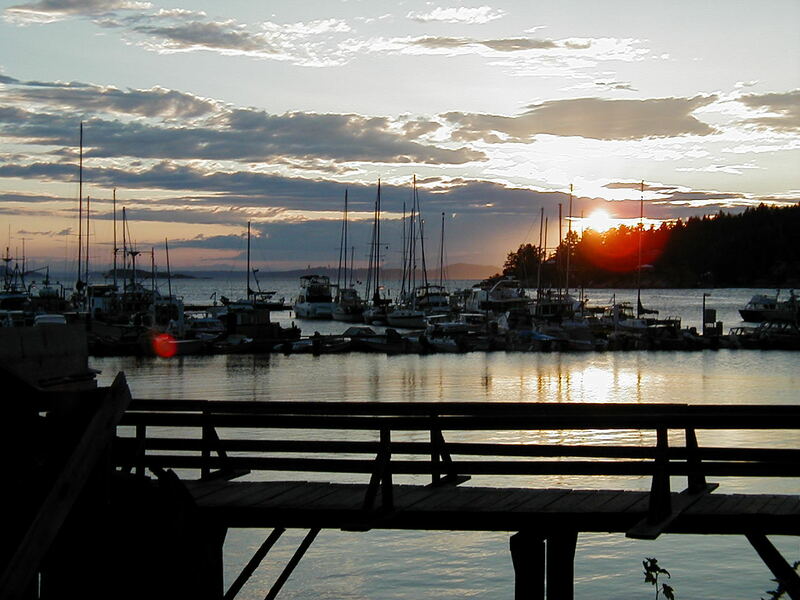 My home town is Sidney, BC, so I’ll start this virtual tour from there. It’s a good place to start too, as Sidney is on Vancouver Island and very close to Victoria International Airport, BC Ferries, Washington State Ferries from Anacortes, WA and The Coho Ferry from Port Angeles, WA. So, a good access point for anyone to wishing begin their tour here. Furthermore, Sidney with its stores, accommodation and camping nearby at McDonald Campground make it an excellent launchpad (and end point) for this clockwise loop tour. And clockwise is indeed my preference, as having ridden this loop in both directions, I have experienced that prevailing tail winds seem to favour the clockwise direction. Although this route can be ridden from early Spring to late Autumn, the best time of year to ride this loop is late June to early September; the caveat is that the route is in coastal British Columbia, where the weather can change very quickly. There’s a saying here in BC, “If you don’t like the weather, wait for five minutes!” Regardless of the time of year, bring some rain gear… You may need it! Time-wise – depending on one’s riding ability and expectations, the main loop route is approximately 500 kms; allow time to complete the route accordingly. There are numerous bike shops on the route if one should need help – I won’t list them here as a quick web search on Google can provide that information readily. For information on any of the following Provincial Parks mentioned, click on this link to the BC Parks website where there is information on all Provincial Parks, also links to a reservation service. A note before starting this trip… There are some challenging hills on sections of this route and especially so on the Sunshine Coast; the Salt Spring Island alternative route is not flat either! Nevertheless, most of the route has good shoulders on the roads and access to services, hence carrying a lot of food/water is not particularly necessary. As outlined, this tour involves several ferries; automobile drivers seem to always be in a hurry to get off the ferry and “down the road.” Although all the ferry staff will let cyclists disembark first when possible, it is very prudent to postpone setting off riding for a few minutes to let the car and truck traffic subside. This makes for a much more peaceful ride and safe journey! While on the subject of ferries, this tour involves multiple ferries. BC Ferries has an “Experience Card” that one can purchase; this card gives a substantial discount on practically all the ferry routes and bicycles are free on all ferries. Some exceptions apply; for more details, schedules and fare pricing, go to the BC Ferries website. There is an option to pick up this route via the Gulf Islands, namely Salt Spring Island. There are ferries to Salt Spring from Vancouver Island’s Swartz Bay ferry terminal and from the mainland at Tsawwassen, south of the City of Vancouver. 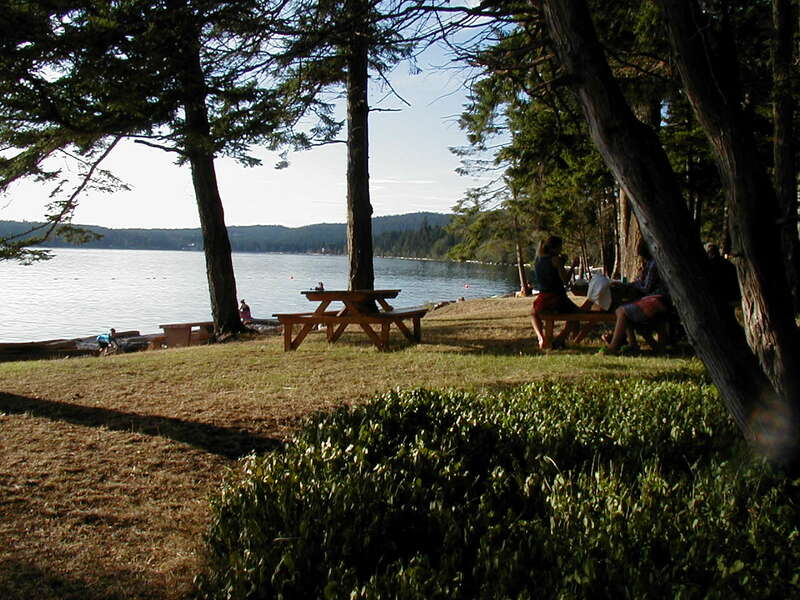 Swartz Bay ferry terminal is 4.5 kms north of Sidney via the Lochside Trail. Once on Saltspring, head for the village of Ganges and from there you make your way to the village of Vesuvius for another ferry crossing to Crofton on Vancouver Island where you can join my mapped route above. Some cyclists will be starting from the City of Victoria and I would advise those riders to avoid the very busy Highway 1 out of Victoria. 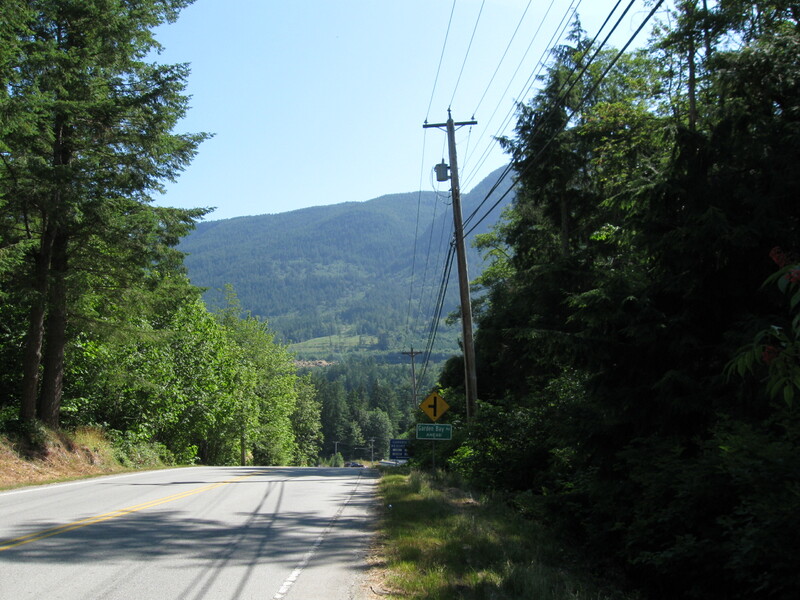 Also, Highway 1 would take riders on a long climb over Malahat Mountain, which with a loaded bike can be a fair challenge. Preferably for either a Victoria or Sidney start, cycle to Brentwood Bay for a short BC Ferry ride across the Saanich Inlet to Mill Bay. The Google map above shows the approximate routing and shows the two start points for this tour. Assuming one has taken the Mill Bay ferry, continue north from the Mill Bay ferry landing for a short ride along the waterfront to the village of Mill Bay proper where there is a chance to pick up some provisions or snacks. From here, join the northbound Highway 1 shoulder for a very short distance to a gap in the concrete barrier on your right, where there is a short trail down to Church Way which leads north to Kilmalu Road. We turn right on Kilmalu, then the very next left onto Telegraph Road. 6 kms north on Telegraph is an alternate scenic route via Cherry Point Road, slightly longer but it will rejoin Telegraph Road farther north. From Mill Bay my route now basically follows the “Rotary Route” to the City of Nanaimo with only small deviations. Riders will periodically see a blue “Rotary Route” sign at some intersections while on this section. 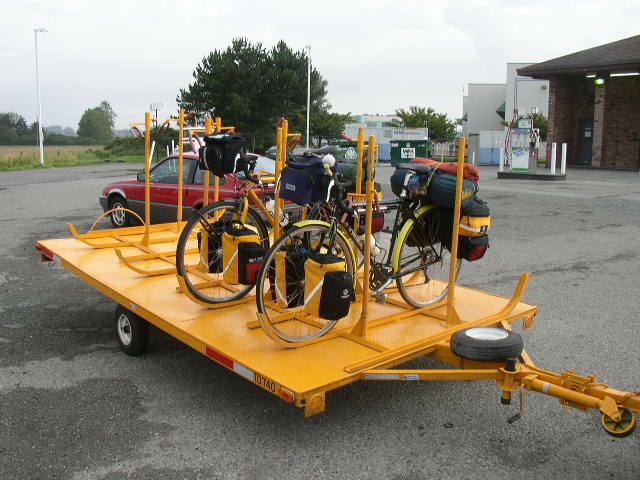 There are many opportunities for rest stops as one will ride through the small towns of Cowichan Bay, Maple Bay, Crofton, Chemainus on the way to Ladysmith. At Ladysmith the route joins Highway 1 for a short section, but shoulders are wide and just 6 kms north of Ladysmith is a right turn onto Cedar Road. Riding along Cedar Road riders will see the turn for Yellow Point Road, a slightly longer detour off the highway than if one stayed on Cedar. Either way, Yellow Point Road will rejoin Cedar further north – both are good cycling routes. At the end of Cedar is a large intersection for Cedar Rd., Highway 1 and Highway 19. Turn right here and travel along Highway 1 a short distance past a shopping mall situated on the left. Leaving the Rotary Route, make a right turn onto Haliburton Street, which is a signed bike route into the downtown waterfront core of Nanaimo – an excellent place to indulge in the many local amenities. The waterfront trail will eventually lead to a marina where riders must leave the trail to access Townsite Road (see map). This is the route to the E&N Rail Trail… Ride on Townsite Road to Holly Ave, turn right onto Holly; the E&N trail starts at the north end of Holly. The E&N Rail Trail is a paved trail with a gentle grade that is adjacent to the Highway and the inactive railway line. The E&N trail ends at Mostar Road, so turn left on Mostar then right on Dunster Road. As an alternative to riding on the shoulder of Highway 19, riders can ride on Dunster to cross Highway 19 (Nanaimo Parkway), then immediately turn right onto the Parkway Trail. Aulds Road is next where riders must cross over the highway again to access the Parkway Trail and continue north for a short distance to Mary Ellen Road, where the trail ends. Mary Ellen crosses the old Island Highway and ends at Dover Road. Take a left turn onto Dover which turns into Lantzville Road. Lantzville Road will eventually rejoin Highway 19, which is the only choice for the next 6 kms. The next relief from the highway is at Nanoose for a right turn onto Northwest Bay Road. Stay on NW Bay Road which after almost 10 kms ends at the south side of Parksville and very close to Rathtrevor Beach Provincial Park where many cyclists choose to camp. Almost at the same place where NW Bay Road rejoins Highway 19A, the highway splits into two, one is the now the freeway of Highway 19 and the other is Highway 19A, the “Seaside Route,” this is my choice of route. 19A runs through the centre of Parksville and can be quite busy as the area is a favourite place for many summer visitors. This will be the busiest section of the highway that riders will encounter and I’ll add that some busy sections through Parksville have no shoulder for cyclists to ride on. There is an alternative route shown on the map below, but the busy highway is the most direct. Just north of Parksville the highway shoulder resumes. Although on a highway, 19A is a pleasant ride through many coastal towns and offers many opportunities for rest stops or to explore the beaches and bays of this eastern section of Vancouver Island. At about 50 kms north of Parksville is Buckley Bay where, if desired, one could take the ferry to Denman Island and another ferry to Hornby Island. There are camping and other accommodations on both islands; reservations are highly recommended. Fillongley Provincial Park on Denman Island is somewhat limited with only 10 sites; Hornby Island is very busy in the summer months. Continuing north on Highway 19A there are the small towns of Union Bay and Royston. After Royston, riders will begin to enter Courtenay, a large town with an array of stores and food opportunities. Highway 19A is named Cliffe Avenue in Courtenay. To avoid the downtown core, keep an eye out on your right for Mansfield Drive, which will be on your right just past an intersection for 29th Street (Comox Valley Parkway). Turn right onto Mansfield where one can access the Courtenay Riverway (see first map) which leads to River Lane for access to the bridge and a right turn across the river. Once across the river turn right again onto Comox Road. I mapped the route through Comox, but there are three good campgrounds just off my route in this area (see first map) if one decides to camp here. My route stays on Comox Road/Avenue for about 4 kms then turns left onto Anderton Road. Stay on Anderton for almost 6 kms, then bear right onto Ellenor Road which leads to the Comox Ferry Terminal of Little River for the ferry to Powell River. Lund is 27 kms north of Powell River on the Sunshine Coast Highway (101) and well worth a visit. If heading north from Westview, there is the Willingdon Beach Trail that will take you almost to the mill complex and the old townsite – this saves riding over the “Cut”, as locals have named this hill, which is on the highway between the two areas of Westview and the Townsite. Lund is a very small village , but there is a nice campground there together with cafes, a general store and pub. Lund is the northernmost terminus of Highway 101 (which snakes all the way down North America south to Los Angeles, California) and a last fuel stop for many pleasure vessels heading north on the coast to Desolation Sound and beyond. So it is a bustling little port offering a great opportunity for relaxing and people/boat-watching. The other side trip is to catch a small ferry from Westview to Texada Island, which also offers great camping and beautiful sunsets from the beach at Shelter Point Regional Park. Texada Island is a little hilly, but well worth a visit. Continuing with our loop tour, we leave Westview and ride south on Marine Avenue which changes to Thunder Bay Street, then Sunshine Coast Highway (101). This section of 101 will end at the Saltery Bay Ferry Terminal about 30 kms south of Westview. The ferry from Saltery Bay will land you at Earls Cove on the Sechelt Peninsula. Once again, 101 is the only option for riding, but there are quite a few options for side trips to Garden Bay, Madeira Park/Beaver Island and other spots on this stretch of the route. At about 40 kms south of Earls Cove is Halfmoon Bay, and an escape off the highway. Turn right onto Redroofs Road which is a pleasant 9 km waterfront detour off the highway. Redroofs will rejoin 101 for the rest of the way to Sechelt. 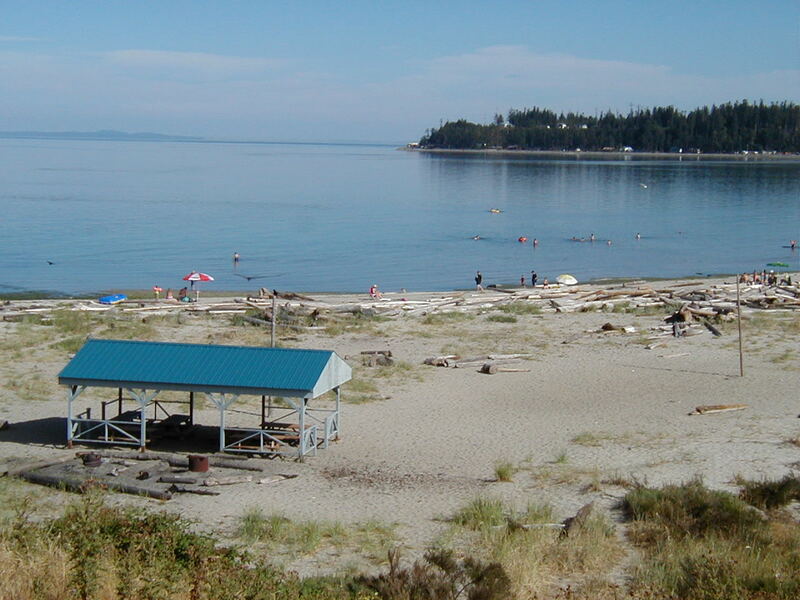 Sechelt is a small town and good stopover; camping is very good at Porpoise Bay Provincial Park about 2 kms north of the village (see map); if camping there, buy supplies in Sechelt. From Sechelt ride south on 101 again for about 10 kms then take a right turn onto Roberts Creek Road, another respite from the highway. Roberts Creek Road will turn into Lower Road which will rejoin the highway again, but only for about 2 kms, then turn right onto Pratt Road. Pratt continues down to Gower Point Road. Turn left on Gower Point and follow it around to ride into the town of Gibsons. From Gibsons, head north-east to the ferry terminal at Langdale. Although my route through the City of Vancouver is my preference, there are other alternatives that one may wish to explore. Without outlining all the possibilities here, it is best to download the excellent cycle route maps that are available from the Translink website. The ferry from Langdale lands at Horseshoe Bay in North Vancouver. Once off the ferry, make your way down to the village via the first right turn at Douglas Street – there is a bike route sign there. Keep right on Douglas which will change to Keith Road. At the intersection of Keith and Bruce Road, there is a trail that doubles back adjacent to Keith (see the map above for this detail). This trail will end at a roundabout and Marine Drive splits off; follow Marine Drive South (see above map) heading for the Lion’s Gate Bridge. At about 5 kms before the bridge, turn right on 29th Street which will lead to Bellevue Avenue. Bellevue will end at Capilano Pacific Trail. Follow this trail as it will provide access to the bridge (see map above). The Lions Gate Bridge has a very good cycling/walking path that protects riders from any traffic. Once off the bridge deck, stay on the shared sidewalk, then take the first right that is signed Stanley Park/Prospect Point. This access road will double back then join Stanley Park Drive. Turn left onto Stanley Park Drive (see map above). Join onto the Beach Avenue Trail at end of Stanley Park Drive and follow this trail to Thurlow Street. Take Thurlow to Pacific Street for access to the Burrard Street Bridge – also segregated for cyclists. Once over the bridge, go west on West 1st Avenue to Cypress Street and turn left there. Cypress is a main bike route, Continue straight on Cypress Street (ignore the map route turn at West 8th) until Matthews Ave, turn left. The Cypress route then continues via a right turn onto Angus Drive. Without detailing each turn now it is best to follow the map above for the turns. In Richmond there is a bike shuttle to take riders through the George Massey Tunnel as cycling is not allowed through the tunnel. Once off the shuttle, follow the map route to the Tsawwassen Ferry Terminal for return to Swartz Bay and Sidney where we started. Of course, many riders may wish to end their journey sooner than this which is why my detail of riding in Vancouver is abbreviated, regardless, the map is easy to follow. This entry was posted in Cycle Touring, Home, Sunshine Coast, Vancouver Island and tagged BC, BC Ferries, Comox, Highway 101, Lund BC, Powell River, Sechelt, Sidney, Sunshine Coast, Vancouver, Vancouver Island on February 11, 2018 by AdamK's Cycling & Travel.